Cross-cultural currents ebb and flow around New York for the holidays. For starters, for many in New York the holiday in question is Hanukkah, which is already upon us and celebrated for eight days starting this Saturday. And all those who celebrate Christmas do so in traditions spiced by countries around the world. Russians, Greeks and other Orthodox Christians even celebrate Christmas on a different day (actually, in a different year, on January 7, 2013) or more likely both days -- while Soviet-era Russians traditionally focused on New Years Day, when many of the rest of us have gone a bit out of focus. And some recall the pagan roots of a mid-winter holiday, among them the Irish. An Irish event that began six years ago is already taking on the burnished glow of "tradition." 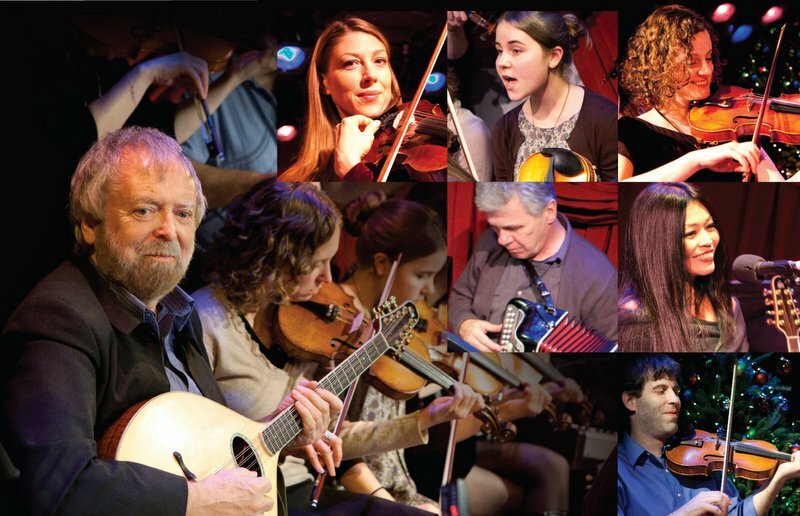 "An Irish Christmas: A Musical Solstice Celebration," runs for 13 likely to be sold-out performances, Dec. 7-22 at the Hell's Kitchen citadel of contemporary Celtic culture, the Irish Arts Center. 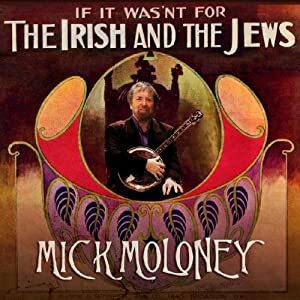 Hosted by traditional Irish music legend, folklorist and a man who earned his cross-cultural cred staging a show called "If It Wasn't for the Irish and the Jews," Mick Moloney has built the program around an eclectic mix of tunes ranging from the traditional to the contemporary. "There's something magical about the dark days of winter in Northern Europe, when the Earth goes into a deep transformative, regenerative hibernation, with only the magical evergreens defying the forces of nature," Moloney said. "The mid-winter solstice has always been, culturally, a time for reflection on the big issues we all live with, particularly the themes of life, death and renewal. The rituals and celebrations of mid-winter give us a chance to take some time off from daily routines and enter into the realm of the creative imagination for which we Irish are now known throughout the world." Spinning the solstice themes of life, death and renewal will be performers with cult followings of their own, and they're not all Irish. Along with Moloney who will sing, pick the banjo and mandolin, will be co-star, fiddler Athena Tergis of Riverdance fame, button accordionist Billy McComiskey, singer/fiddler Liz Hanley, step-dancer Niall O'Leary and numerous special guests, including versatile jazz singer Tamar Korn, Filipino performer, chanter and jazz vocalist Grace Nono, and a shanachie or storyteller in Macdara Vallely, originally from Northern Ireland. Each performance will feature a special guest, which in past years included Gabriel Byrne, Christine Quinn, Colum McCann, Susan McKeown, Michael Patrick McDonald and Bill Whelan. On Sunday, December 9th, they'll take the show on the road to Fordham University in the Bronx. Radio station WFUV will record it to air on Sunday, December 16th and Saturday, December 22nd. Another remote way sample one of the best Irish contributions to a New York Christmas is though the An Irish Christmas album which captures the best of the show's 2010 run. An Irish Times reviewer wrote, "Here's a bit of relief from the maudlin fare that clutters the festive season release lists. Recorded live in New York's Hell's Kitchen, Mick Moloney and friends train a wide-angle, multicultural lens on the season with some startling effects. The recording quality is pristine and there's a raft of unexpected tunes and visitors, none more jaw-dropping than Grace Nono, a Filipino singer who traces the artful intricacies of vocal chant with fluid ease." To learn more about An Irish Christmas, the live recording and the Irish Arts Center, celebrating its 40th anniversary this year, go to: www.irishartscenter.org. The Irish in NYC will come together again on Saturday, December 15th when volunteers from around the region will board buses and head to the Rockaways and other Hurricane Sandy ravaged areas to do hands-on work to aid in the recovery effort. It's the second "Irish Day of Action" holiday edition, or in Irish, "Meitheal Na Nollag" (Christmas Gathering of Workers) a collaborative effort of the incredibly engaged Consulate General of Ireland in New York and a coalition of area Irish and Irish American groups. To help -- and you definitely don't need to be Irish to do so -- follow the event's Facebook page or register here.